To build a critical mass of health-care providers, administrators, and services for cancer survivors, education about cancer survivorship and multidiscipline involvement in survivorship care activities is the initial and essential step. One cannot practice what one does not know. This education is most successful when developed by those with educational expertise. 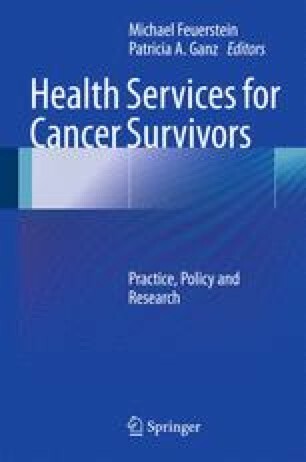 This chapter focuses on the initial definitions needed to begin an educational program in cancer survivorship care, approaches to define the content or curriculum needed, approaches to conducting educational needs assessments, how to formulate educational objectives, how to identify appropriate teaching methods, and will end with approaches to evaluations. Examples focused on cancer survivorship care are provided throughout. American Cancer Society (ACS). http://www.cancer.org. Accessed 18 Mar 2010. National Comprehensive Cancer Network (NCCN). http://www.nccn.org. Accessed 18 Mar 2010. The Journey Forward Care Plan Builder. http://www.journeyforward.org. Accessed 17 Mar 2010. LIVESTRONG Care Plan. http://www.livestrongcareplan.org. Accessed 17 Mar 2010. Survey Monkey Web Site. http://www.surveymonkey.com/. Accessed 2 June 2010. Institute of Medicine (IOM). Cancer Patient to Cancer Survivor-Lost in Transition. [Video]. 2005. http://www.youtube.com/watch?v=yhugWM3dNAw. Accessed 10 Feb 2010.